Show Your Buyers Their New Dream Home! 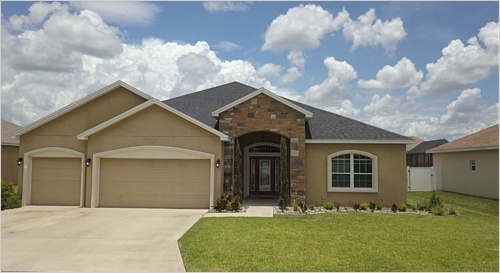 This beautiful home is located in the gated community of Hartford Estates in South Lakeland. Are you looking for room to spread out? This home has 5 bedrooms and 3 bathrooms with a split floor plan for added privacy! The home has an open floor plan with a breakfast bar in the kitchen along with a dining area combined with your living room. The master bedroom has a large en-suite bath with a soaking tub and separate shower stall. The master bathroom leads into a GINORMOUS closet! This home is a must see!